DAVID LE/Staff photo. 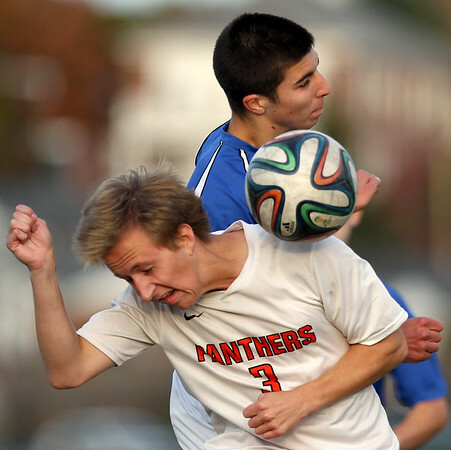 Beverly goalie Michael Slaven bats the ball away from Danvers forward Jackson McPherson (16). 10/29/15.